We had a furious hurrican recently, which broke down the three largest trees in our garden. 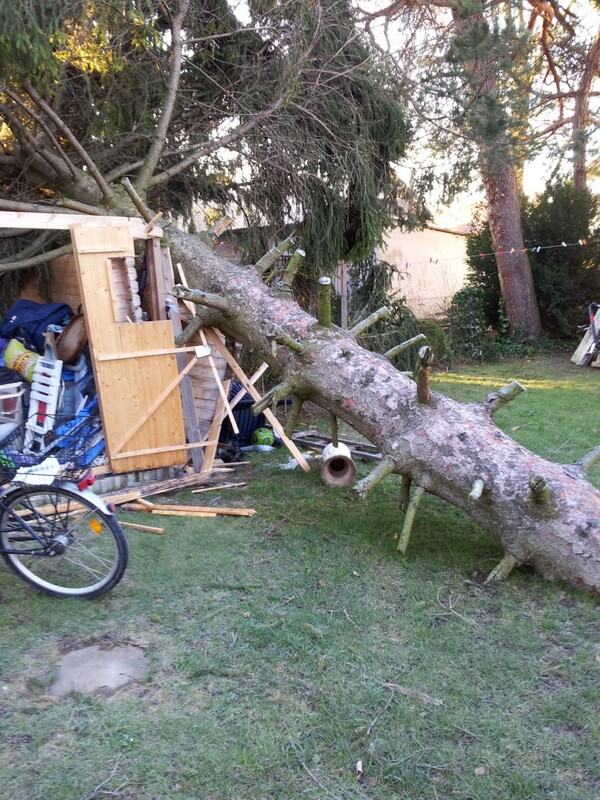 Luckily, except from a completely damaged wooden hut where we keep garden stuff, ski and bicycles, nothing else was broken. I wish I had more time to sit peacefully with our dog and something good to read.